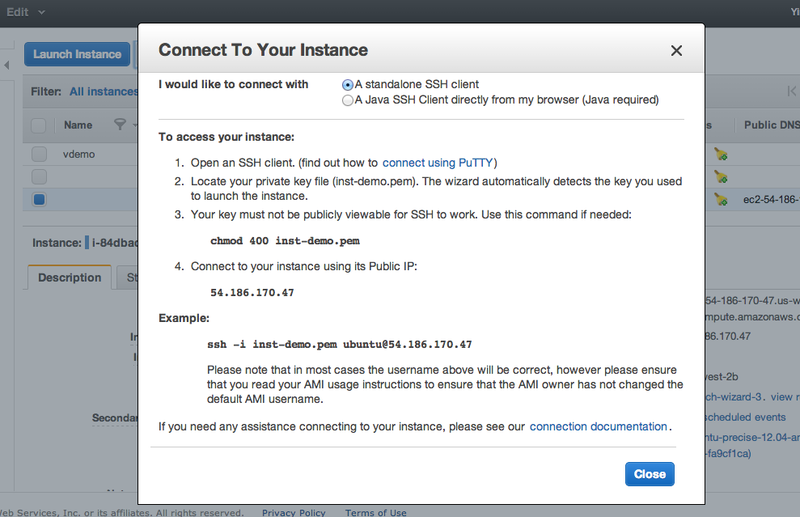 Access http://aws.amazon.com/, in a Web browser. Select ‘My Account/Console’ on the top right if you already have an account; otherwise sign up with a new account. 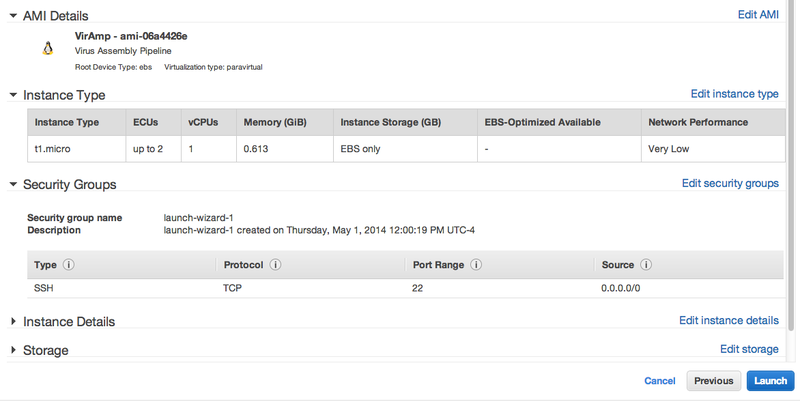 Go to the ‘AWS Management Console’ option, click the ‘EC2’ at upper left. Before importing the AMI, make sure you are in the correct Availability zone. 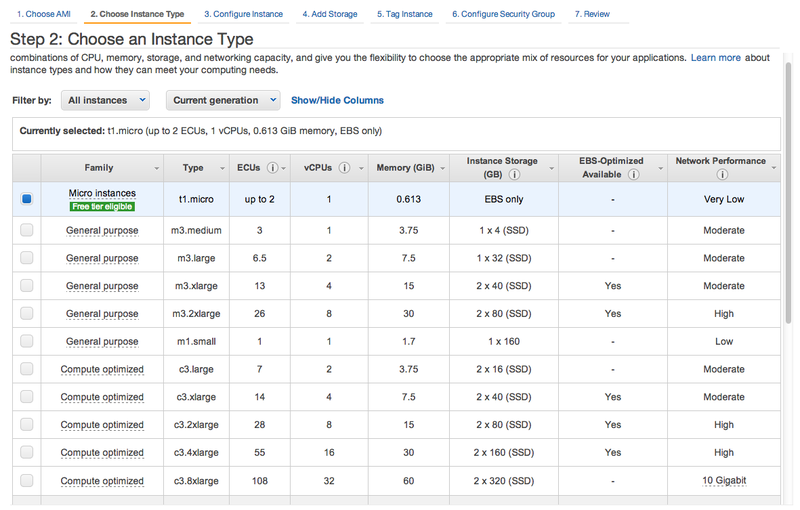 Amazon EC2 is hosted in multiple locations world-wide with multiple Availability zones, and resources cannot be replicated across regions until specified. Our AMI is stored in region “US East(N. Virginia)”. Check the upper right corner next to your account name, and make sure it’s set at the correct region. If not, just click and select the correct one from the dropdown menu. 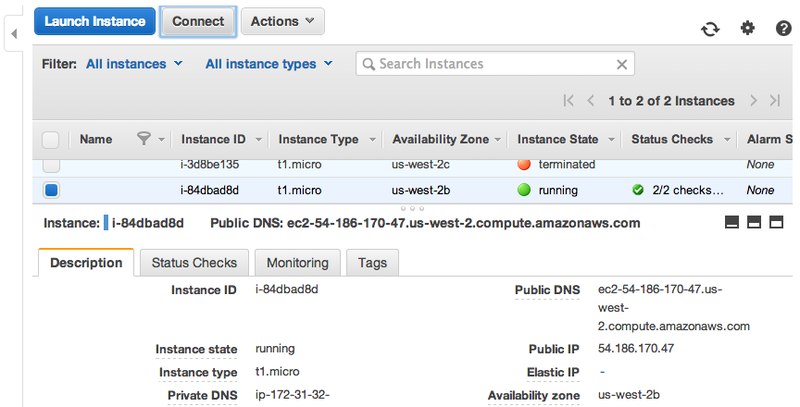 Next, click the blue ‘Launch Instance’ button. Instructions and an overview of the basic steps and parameters you need to login to the instance are provided at the console. Hit the “Connect” button to view information you need to login to the backend of the system.